"Ragtime Productions...provides everything from jingles to background scores for film and video, to songs created especially for shows, promotions and special projects. The husband and wife team of Scott Berry and Paula Stevens...write, arrange, perform and produce from concept to finished product." Since coming to Orlando, Scott (along with his wife Paula Stevens) has written and/or produced original music underscoring, songs and jingles for the Disney theme parks, Orlando's Theater Downtown, The Fringe Festival, The Orlando Magic basketball team, the Philadelphia Phillies baseball team, a local Florida cable children's tv show, and other local businesses. 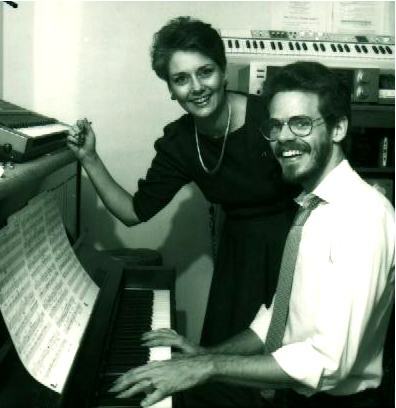 Shortly after starting Ragtime Productions in 1986, Scott and Paula expanded their business and renamed it Scott Berry Productions. In 2001, Scott created the underscoring for THE CHALLENGE, a short film by director/producer Jason Liquori. At age 21, while still living and performing in New Orleans, Scott was offered the opportunity to record an album of his original material at CBS Recording Studios in New York City. What a first experience in the studio! He loved <?<st1:state>New York and knew that he would one day return. After recording other demos with his band, TOUCH, in Georgia and re-recording a New Orleans favorite,"Down At Papa Joe's", backed with his own song, "The Drifter And The Lady" on the "b" side, Scott decided to head back to <?<st1:state>New York in 1977. Once settled in New York, Scott quickly landed the role of Musical Director...for the off-Broadway show "I'M GETTING MY ACT TOGETHER AND TAKING IT ON THE ROAD" by Gretchen Cryer and Nancy Ford (produced by Joseph Papp), working with such leading lights in New York--and later in a touring company of the show: leading actresses Betty Buckley, Phyllis Newman, Bety Aberlin, Connie Stevens and leading actors Orson Bean, Steven Keats, Joel Fabiani and George Hosmer. 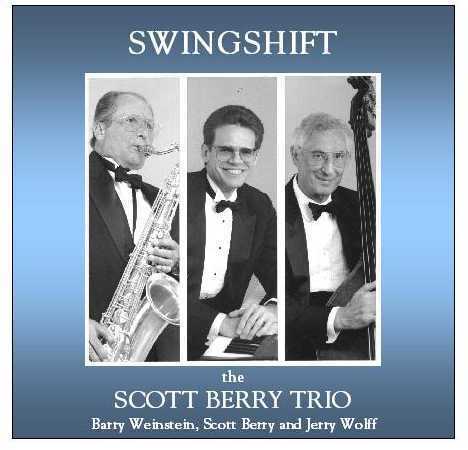 During this time, Scott appeared around New York City as a solo performer and as musical director of cabaret acts, theater productions and even his own Scott Berry Band. Scott appears (very briefly) in Billy Joel's "Piano Man" video, which was filmed in New York. Find it by searching with the words "piano man video" and you'll see that Scott appears at about 3:51 for a heartbeat--YES, that's Scott WITH A BEARD! As well as being a musical arranger and performer, Scott was also leading actor in the musical production "VINYL" (J. 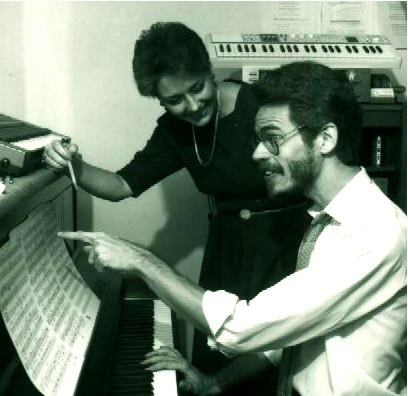 King and E. Epstein), and musical director for "HOLDING PATTERNS (Jeffrey Sweet). 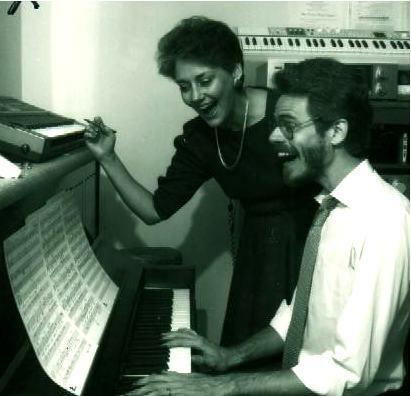 Scott is the composer and co-creator of "THE FIRST GREAT AMERICAN TRAVLING CARNIVAL" (with Lila Levant) and"BEING IN LOVE" (with Ralph Tropf). Scott also underscored the dramatic plays "OPTIONS" (Andrew Forster) and "THE WAILING MIST" (Greg Brennan). Fraunces Tavern Composer, Musical Dir. ...and oh by the way, Scott is on The "PIANO MAN" video, filmed in NYC.